VISALIA – A local man was a speed demon behind the wheel, but he couldn’t evade police once he crashed his pickup. Just after midnight on Dec. 10, officers noticed a Dodge Ram pickup peeling out and then driving recklessly in northwestern Visalia. 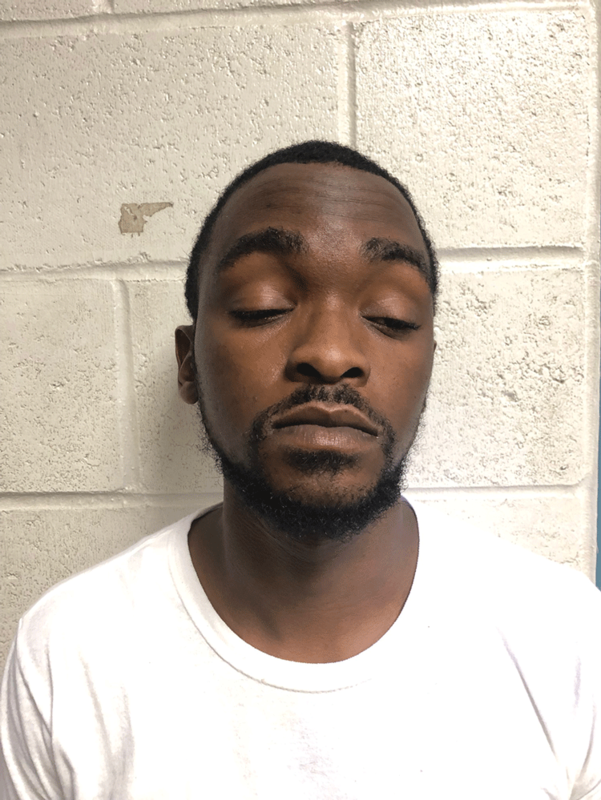 Officers attempted a stop on the vehicle but the driver, later identified as 25-year-old Tyrone Moore, failed to yield. Officers gave chase to Moore, but had to break off the pursuit due to excessive speed and numerous vehicle code violations. A short time later, another officer, conducting a neighborhood check near the last known location of the pickup, located it in the front yard of a residence near the intersection of Buena Vista Avenue and Shady Street. Moore had lost control of the Ram which ran into with the residence, which only received minor cosmetic damage. Officers located Moore hiding in the bushes across the street from the collision. Officers looked in the bed of the pick-up truck and noticed two large trash bags filled with approximately 20 pounds of processed marijuana. They also located more than $7,800 cash in the vehicle. Moore was arrested and booked on charges of felony evading, hit and run, transportation and possession of marijuana for sales. At 4:35 p.m. in the 1400 block of S. Julianne, VPD officers conducted a parole search. As officers approached the residence, a person in the garage closed the door and locked it. Officers found an open glass slider in the back of the residence and made entry. After several minutes of announcing their presence and for the occupants to come out, 48-year-old Paul Flores came out of a bedroom. He was not the person on parole at the residence but was in possession of a 12 gauge shotgun and a stolen .45 caliber handgun. Flores was arrested for being a felon in possession of firearms and possession of stolen property. He was booked at the Tulare County Jail. At 7:57 p.m. at Papa Murphy’s Take-N-Bake Pizza, 3833 W. Caldwell Ave. Ste. G, a male suspect only identified as being between 20 and 30 years old, entered the business armed with a handgun. Two employees ran to the back of the business while the suspect attempted to open the cash registers. When he was unable to open the registers he took an undisclosed amount of currency from a tip jar and fled the business on foot. No one was injured during this incident and anyone with information is asked to contact the Visalia Police Department Violent Crimes Unit at 713-4234. At 2:30 a.m. VPD received a report of subjects attempting to break the window of the 76 Gas Station at 1622 N. Ben Maddox Way. As officers arrived at the location they observed two subjects flee on foot with property from the business. Two juvenile males age 15 and 17 were arrested after a moderate foot pursuit. The identity of the suspects is being withheld due to their age. Both suspects were booked at the Tulare County Juvenile Detention Facility for burglary and resisting arrest. At 12:15 a.m. in the 600 block of N. Bridge St., officers responded to a report of a carjacking that had just occurred. The victim said an unknown suspect approached them as they were parking their vehicle. The suspect demanded that the victim get out of the vehicle or they would be shot. The victim complied and the suspect stole the vehicle and fled. No weapon was ever seen and no injuries were reported. With the help of OnStar and the Tulare Police Department, the vehicle was later located abandoned in the city of Tulare. The vehicle was returned to the victim. Anyone with information is urged to call the Anonymous Tip Line at 559-713-4738. At 9:27 p.m. at Country Waffles, 1345 E. Noble Ave., officers responded to a commercial burglary that had just occurred. Upon arrival, officers found that a window to the business had been smashed and an unknown amount of property was taken from the business. Witnesses advised that the suspect was last seen running towards Seven Oaks Park. A K-9 was used to track the thief but officers were unable to locate the suspect. Anyone with information related to this crime is urged to call the Anonymous Tip Line at 559-713-4738.